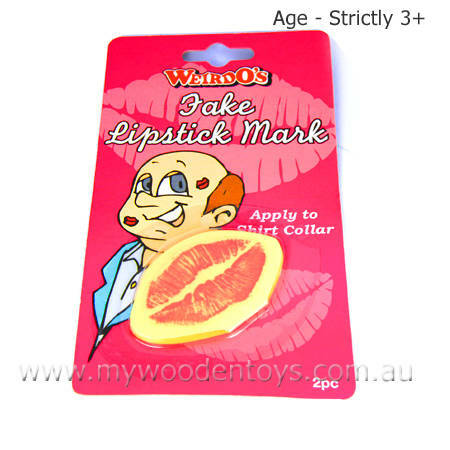 Joke Lip Stickers x2 are 2 stickers you can stick onto you shirt collar so you look like you have been kissed. Great fun little joke and can be reused if you remove them carefully. We like this because: "Simple sweet joke. "